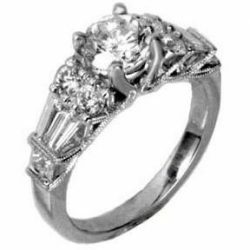 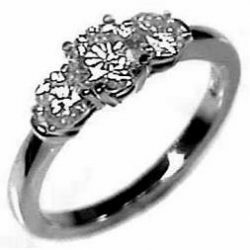 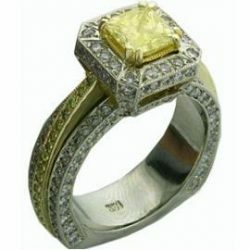 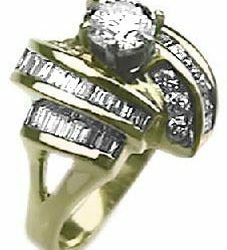 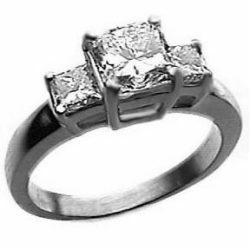 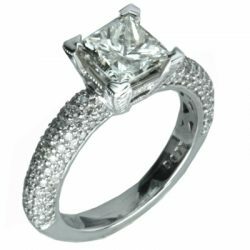 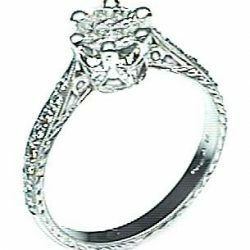 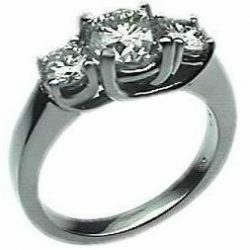 Product code: er-111rd100cu Categories: Rings, Engagement Rings. 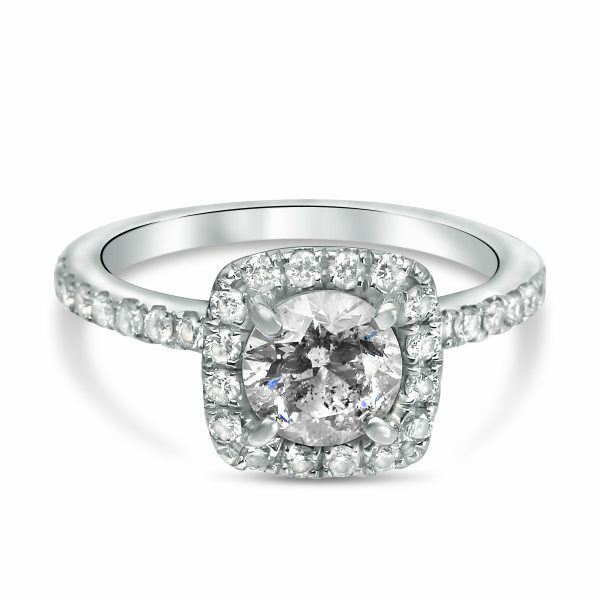 This classic engagement ring features pave set diamonds on the halo and along with pave set stones on each side of the cushion cut center stone and on the basket of the halo. 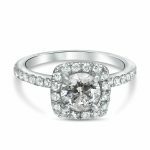 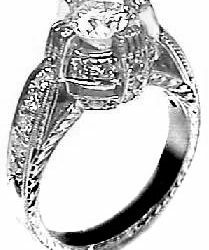 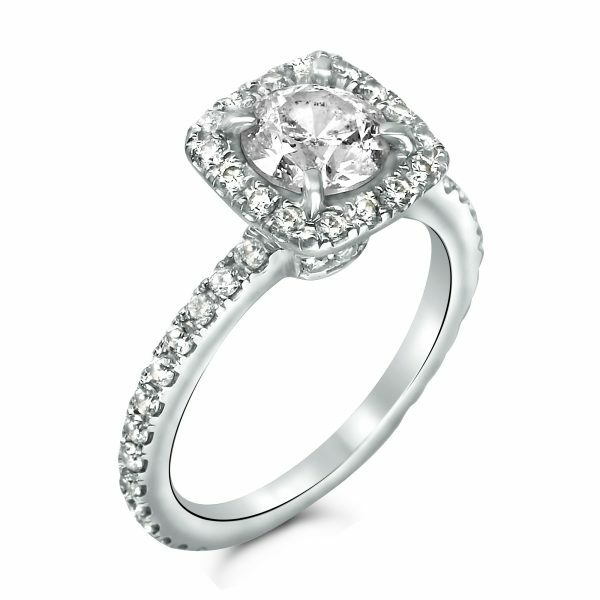 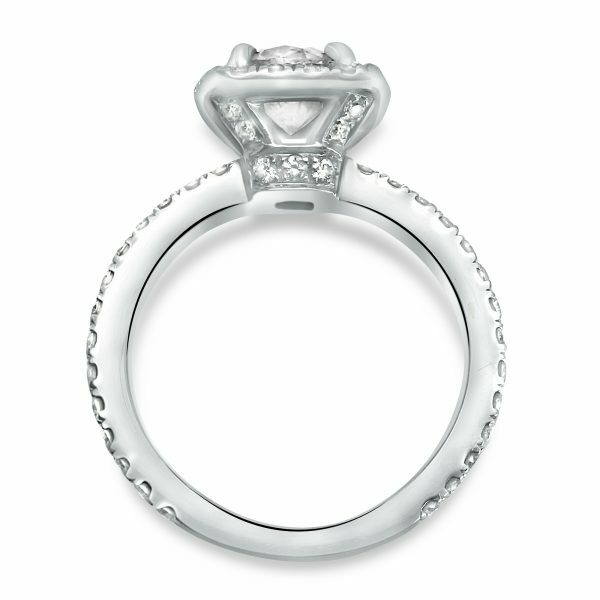 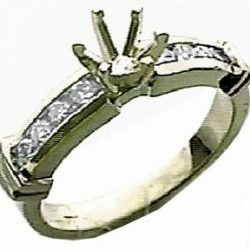 This design is custom tailored to the exact size and shape center diamond you select. 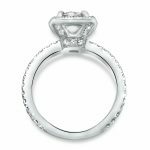 Beautiful designer style ring featuring delicately curved settings holding round, princess and baguette diamonds totalling 3/4cttw. 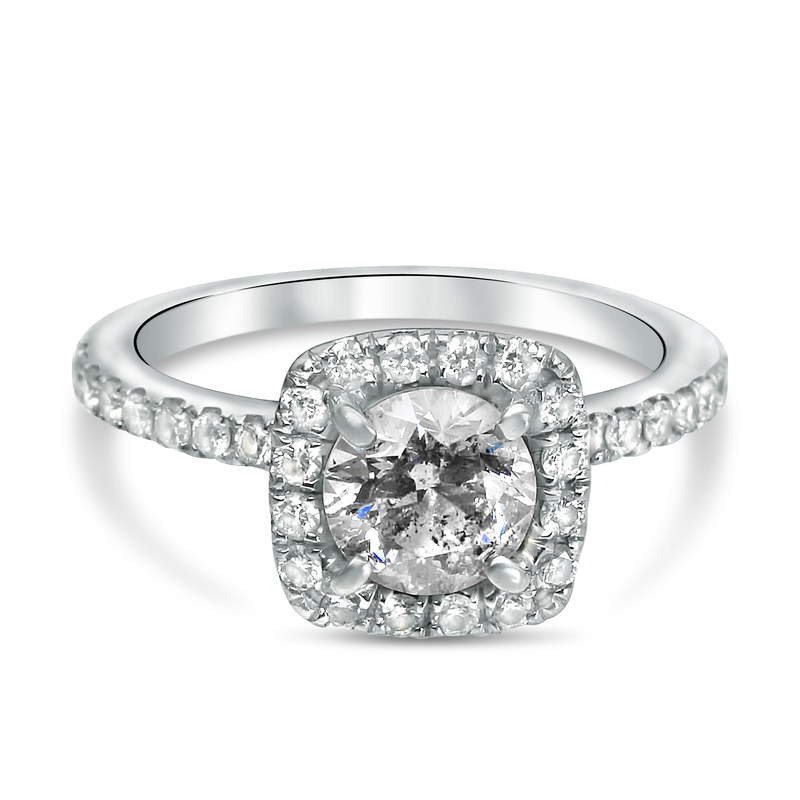 One round 1ct center diamond round ! The side of the ring is expertly hand miligrained for added detail and touch of perfection.